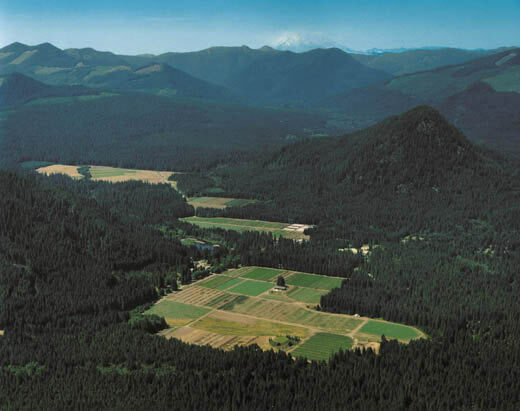 The Wind River Business Park (WRBP) is located in the heart of Washington State’s Gifford Pinchot National Forest. The site is a unique combination of open meadows and forested slopes. Its location is a ten minute drive from the Columbia River Gorge National Scenic Area and about one hour from the Portland/Vancouver metropolitan area. The Business Park produced seedlings until 1997, when it was closed by the Forest Service.